It has been so hot here lately. 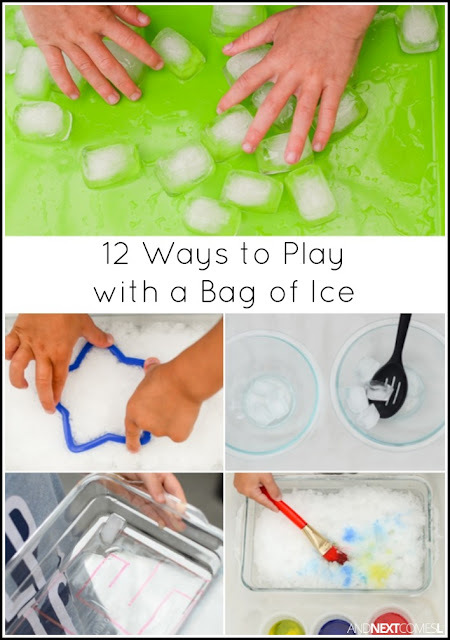 So we have been looking for ways to keep cool all summer long, including trying out some simple boredom busters for kids using a bag of ice. Whether you just need a quick sensory activity or you actually want the kids to learn while the play, these activities are great for kids of all ages. They're low prep, simple, and inexpensive. You could even make your own ice cubes ahead of time instead of buying a bag of ice cubes from the store. Or color the water before you freeze it to make your own colored ice cubes for the kids to play with! 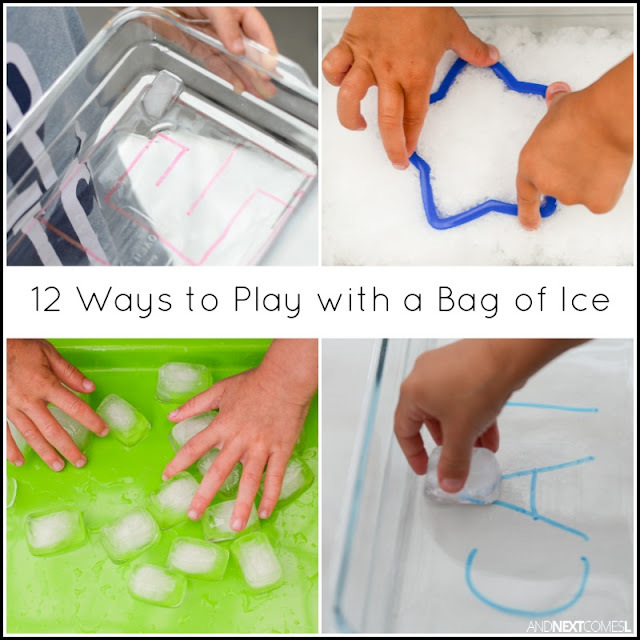 So grab a bag of ice and beat the heat (so cliche, I know) with these simple play ideas!